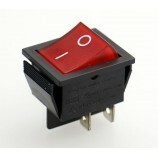 This is a DPDT switch with a push button type activation feature. Pushing the switch activates the N/O terminals and disconnects the N/C terminals. Brackets for mounting on PCB. 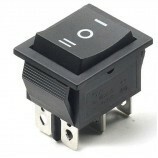 DIY projects requiring DPDT fast switchig. 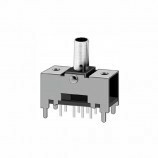 Also Searched as : DPDT Push Button Switch, Push Button Switch, push button switch dpdt, push button switch dpdt type, dpdt type push button switch, dpdt type push button switch buy online, buy online dpdt push button switch, dpdt push button switch buy online india.